Star Construction’s connection to the North Shore Massachusetts region is long and deep. Our team has over 40 years of experience renovating homes in the area, which means that we’re intimately familiar with the building techniques and unique construction challenges inherent to the region. We won’t shy away from any kind of project or home design, which is why we’re the ideal candidates for your Hamilton remodeling projects. Hamilton’s architecture has something for everyone. We pay homage to the town’s rich, varied history by building spaces that fit seamlessly within the area’s diverse architectural landscape. Every project in the Hamilton area offers a fresh challenge, as we work to marry different styles and update older materials. The aesthetic complexity is just one of the reasons we love working in the Hamilton region! One of the goals at Star Construction is to build long-term client relationships. We want our customers to return to us again and again, so we strive to provide the best service and professional know-how. A great example of this kind of enduring client relationship comes from this Hamilton home. 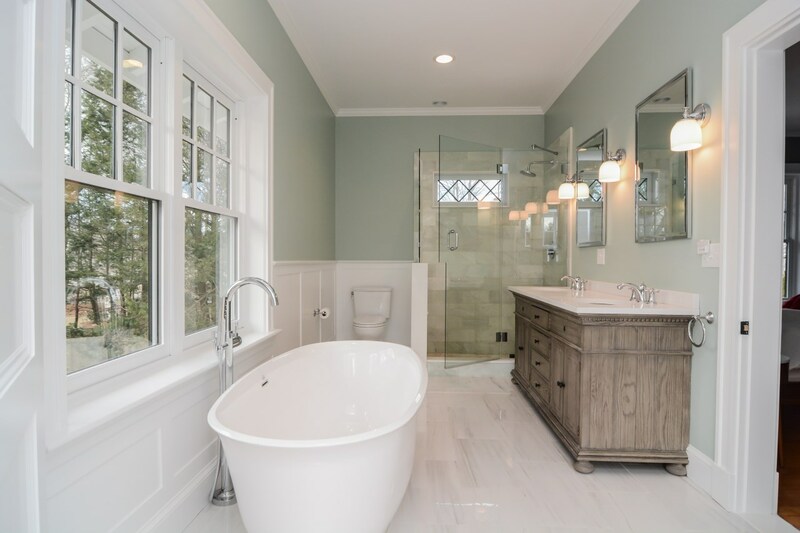 The bathroom remodel pictured above is actually part of a New Addition in Hamilton. The original bathroom was too small and the owners wanted a Master Bathroom they could really enjoy. Let Us Become Your Home Team! At Star Construction, we take all our projects personally. That’s why we work closely with our customers to develop lifelong relationships—some people might even call them friendships! Our expertise in the Hamilton area gives us the home team advantage: we’re able to make quick, region-appropriate decisions for your local home, without sacrificing those custom touches that make your space so special. We thoroughly vet all the subcontractors and vendors we work with to ensure that our team has the know-how to get the job done quickly and efficiently. And we throw in additional service touches like consultations that will make you feel comfortable and informed throughout the whole remodel. We aim to treat your home exactly like it was one of our own. Our name may be Star Construction, but to us, your home is the real star of the show!